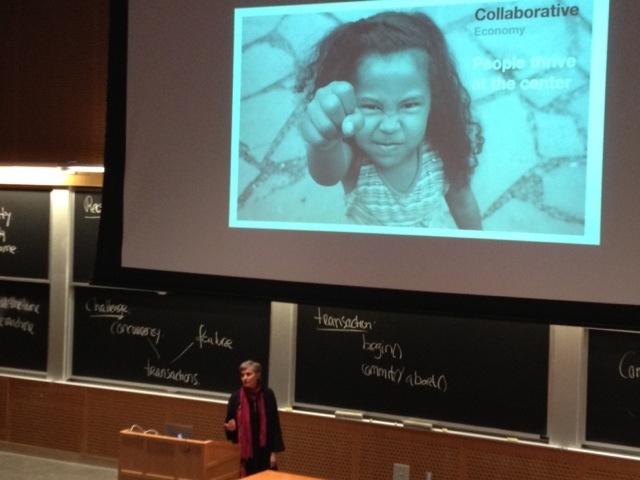 Impressive Keynote at MIT by Zipcar founder and former CEO Robin Chase, Key for Success is using Open Capacity in any Field. Take exzess capacity + plattform: Collaborative Economy – People thrive at the Center . Smartphone have excess capacitiy, too. 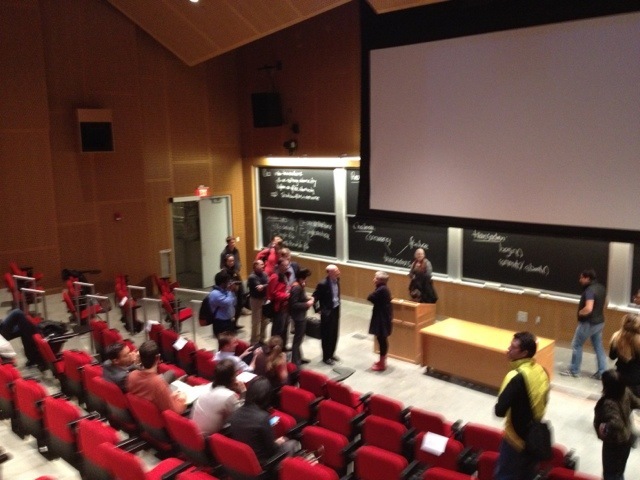 Many Excited Students line up to ask Robin Questions, different than in Germany.